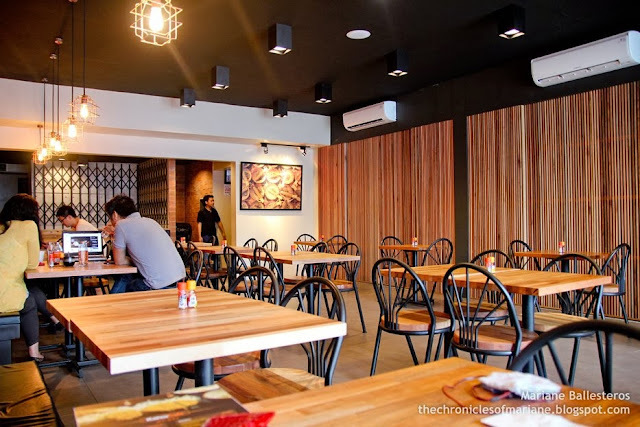 Banawe Street is one of my favorite spots in Quezon City though I have only tried few of the restaurants there as of writing. A friend told me about Katsu Café located along the same street which got me wandering around Banawe again. 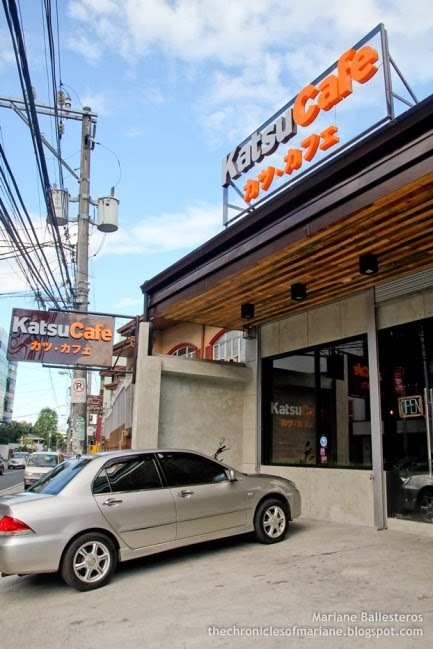 Katsu Café is one of the joints in Banawe, Quezon City that offers Japanese food, with specialty on katsu dishes. They have another branch also in Katipunan. The interior looks very spacious and simple, yet modern and stylish. The staff were also very courteous and attentive of our needs. 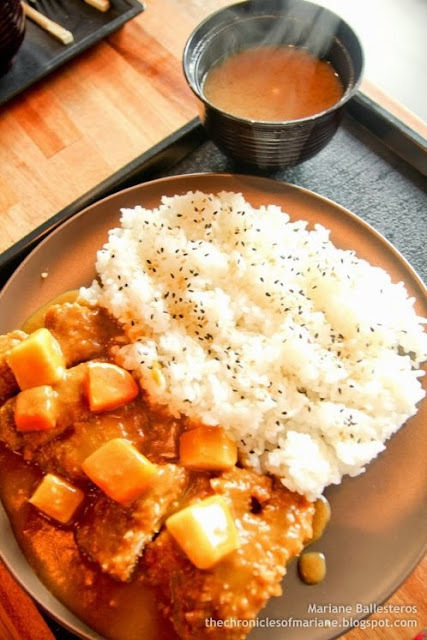 Pork Katsu Curry Rice is a dish I will always be biased about. It has all my favorites: pork, rice and curry sauce! Haha I am always in favor of this dish so I can’t really say anything about bad about it. I think the sauce mix they used was store bought, anyway, it is something that I will always order when I go here. The meat was lean, no fat, and I can say it was fried just right and not over/undercooked. The pork katsu set was divine. For the price, it was a good choice, though I couldn’t compare it to Yabu since I haven’t eaten there yet. The pork was also not fatty and was very tender and tasty! The breading has the right crunch into it. 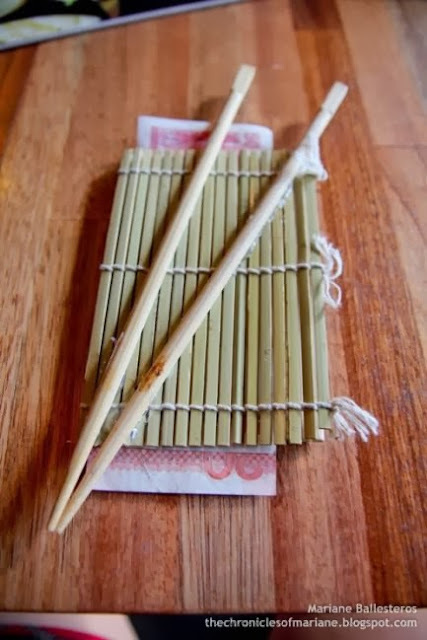 I also like that it comes with unlimited rice and miso soup. 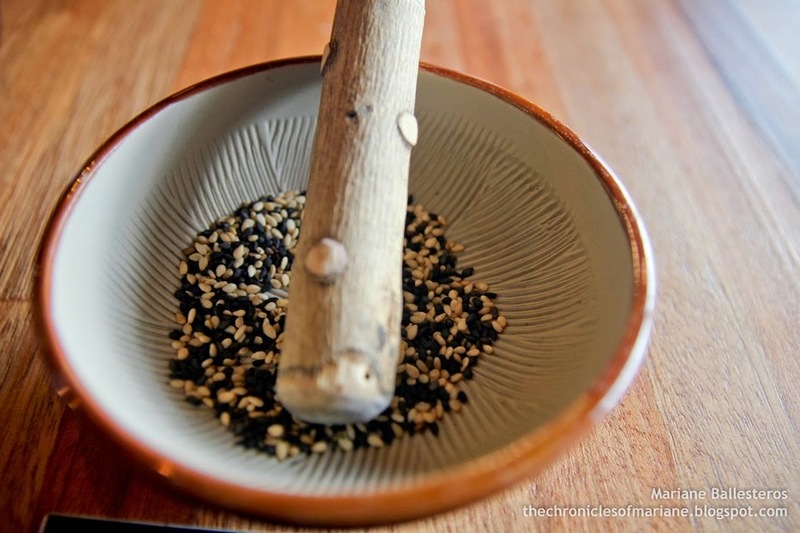 Accessibility/Location: 4 – I live in Northern part of Manila, but I still find Banawe hard to reach! Well, Banawe is not the most accessible part of Quezon City anyway. But if coming from MRT station, you’d only need one jeep transfer to Katsu Café. 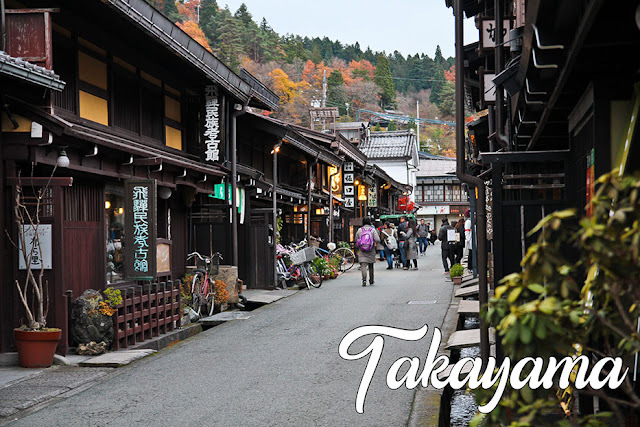 Food: 4.5 – Mostly were Japanese selections, but heck, I love Japanese food so I am not complaining! I can’t really say anything bad with the food I tried there. 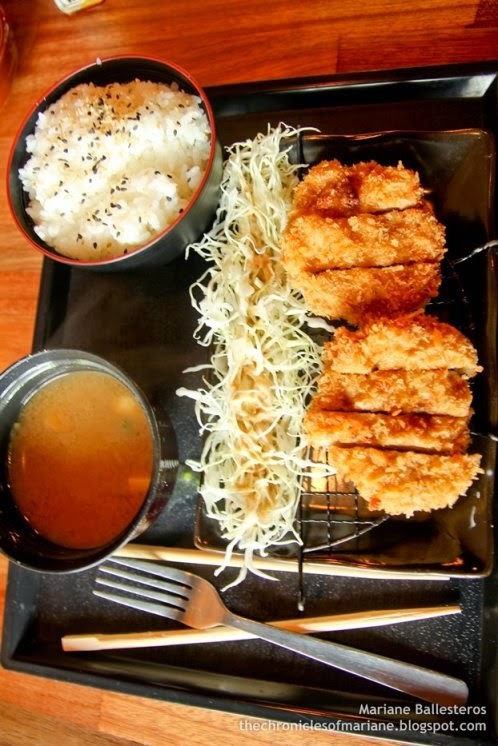 Price: 4 – I can say that Katsu Café is sort of a cheaper alternative if you can’t afford or don’t want to spend as much as you will at Yabu. The prices they have is really affordable. 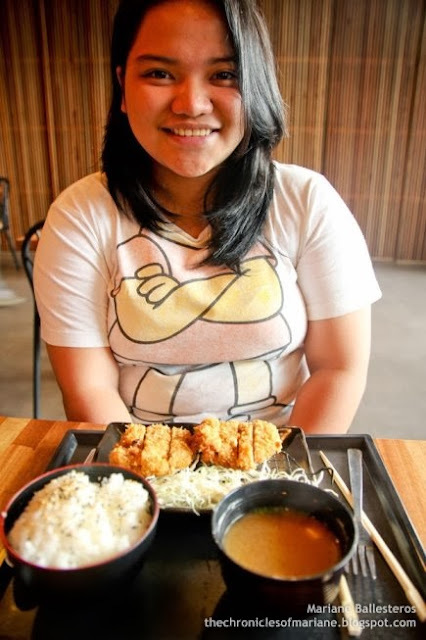 Overall, I liked Katsu Cafe. Service was reasonably fast (took less than 15 minutes for our food to arrive) and of course, you couldn't really complain about the price! Can’t wait to go back other dishes. It’s the cheaper go-to place when I am craving for a good katsu serving and friendly ambiance. From MRT: Alight at Quezon Avenue, take a bus or jeepney heading for Banawe Street. From there, you may walk or take a tricycle until you see the first branch of McDo in the area. Turn left. From LRT: Alight at 5th Avenue station and walk for about 10-20 minutes to the direction heading to Araneta Ave and you will see jeepneys heading for Sgt. Rivera. Ask to be dropped off at Banawe Street. From there, you may walk until you reach Kafe Monaco around for 30 minutes or take a trike. Alternatively, you can just take a tricycle from 5th Ave, fare may reach from 50-60 pesos.